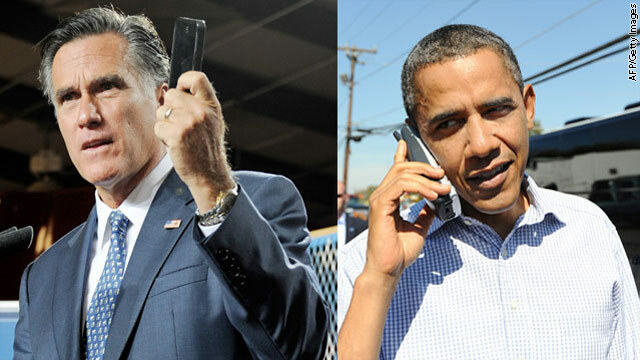 Obama, Romney campaigns in rare agreement: Text them money! (CNN) – Could the national conventions become more than just political rallies? That's what one political expert predicts with the Federal Elections Commission ruling that will allow people to text donations to the campaign of their choice. "You now have the ability to turn the political conventions to a texting telethon," said Mark Armour, president of Armour Media, a political advertising firm that advocated for the change with the FEC. "You can even put the number to text on every TV spot. The potential is almost unlimited, and it opens up an entirely new fundraising stream." Armour, a former press secretary to Al Gore, says the ruling that came Monday will eliminate some of the barriers that inhibit people from contributing to a candidate. You don't need a credit card. You don't have to walk to a mailbox. You just type a number into a cell phone, something most people take with them everywhere they go. "Bigger picture, this is democracy with the small 'd,' " he said. "Now, millions of Americans with their $50 can become the antidote to the super PACs." The FEC rejected a similar appeal in 2010, citing record-keeping concerns. But the companies that brought the current appeal - Red Blue T LLC, ArmourMedia Inc. and m-Qube Inc. - devised a work-around that met FEC requirements. Here's how it will work: An aggregator will track texted donations. Donors will be allowed to send up to $50 a month, the maximum an individual can give anonymously to a candidate or PAC. Texted donations will max out after $200. If someone tries to send more, the aggregator will reject it. The contribution then appears directly on the donor's phone bill. Both the Romney and Obama presidential campaigns wrote letters in support of the change.